Summary : Implementation of intrusion detection system (ids), intrusion prevention system (ips) and security operation center (soc) for plant dcs systems in d, e, g, k, h, l1, l2 & m stations at generation division (gd), dewa. 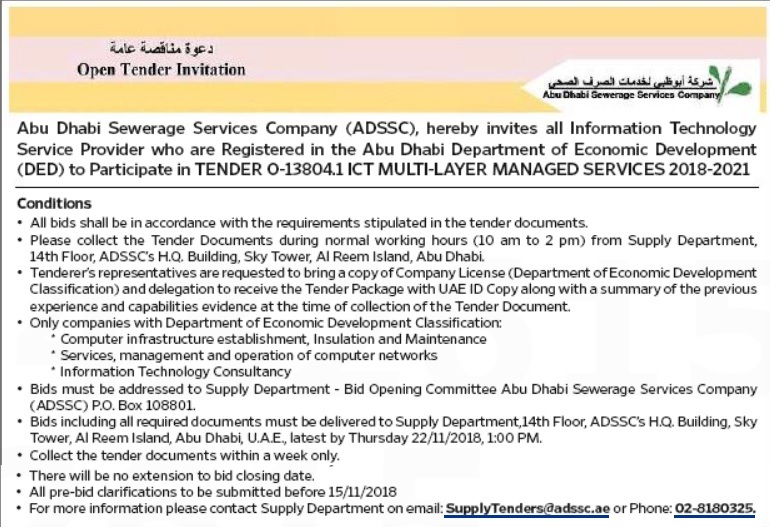 Tender Details : Tenders are invited for implementation of intrusion detection system (ids), intrusion prevention system (ips) and security operation center (soc) for plant dcs systems in d, e, g, k, h, l1, l2 & m stations at generation division (gd), dewa. Tender Details : Tenders are invited for ICT Multi-Layer Managed Services 2018-2021. 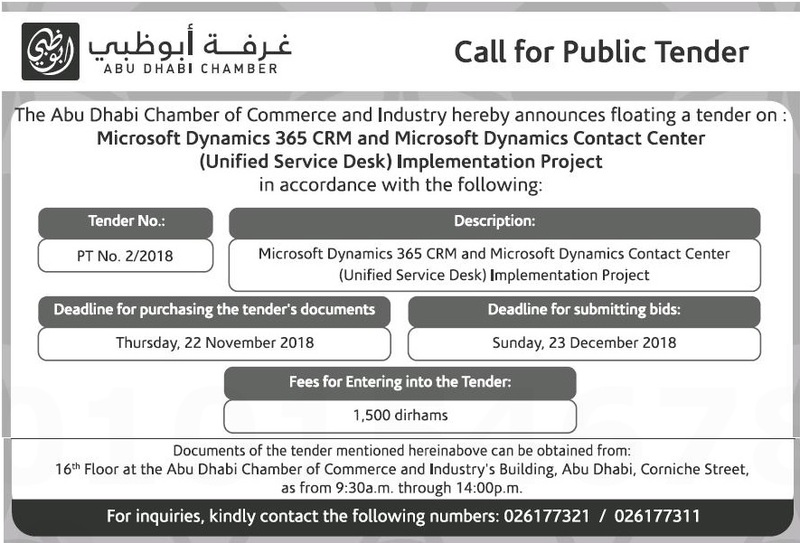 Tender Details : Tenders are invited for Microsoft Dynamics 365 CRM and Microsoft Dynamics Contact Center (Unified Service Desk) Implementation Project. Fees for Entering into the Tender: 1,500 dirhams. Tender Details : Quotation are invited for Avaya Telephone, Software & Module. 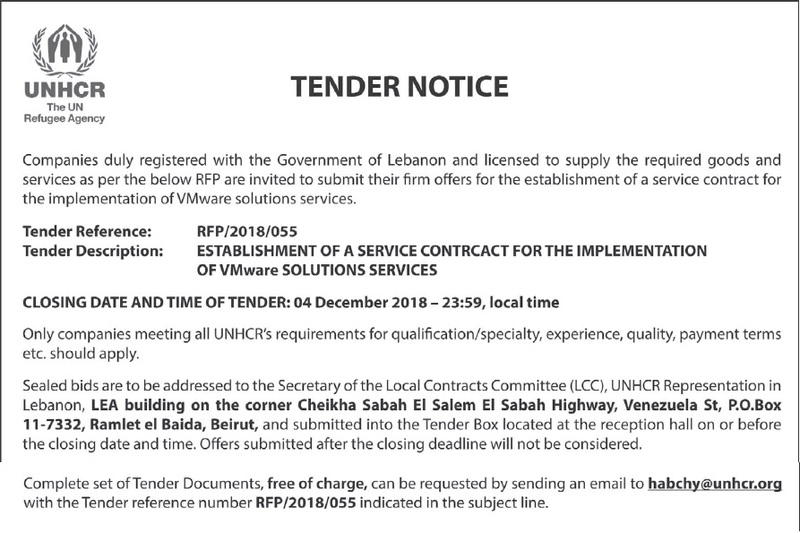 Tender Details : Request for proposals are invited for Establishment of a Services Contract for The Implementation of VMware Solutions Services. Tender Details : Expression of Interest are invited for Development of a New Website for the Generation Amazing Foundation. 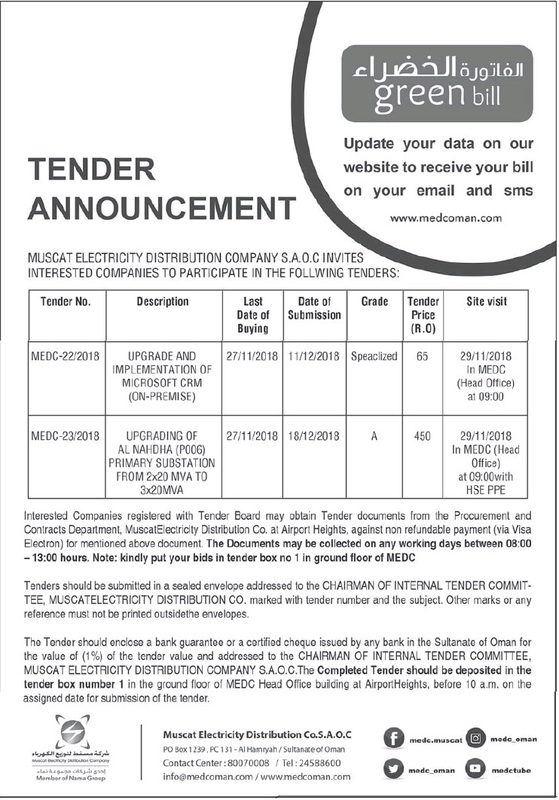 Tender Document Fees: QAR 500. Tender Details : Tenders are invited for Jl website – Hosting Service and Annual Maintenance for 4 Years. Expression of Interest to be sent to Email s.harb@sc.qa by latest Thursday 15 November at 1:00 pm. Tender Fees: QR 500 Tender Bond Amount: QR 20,000. Tender Details : Tenders are invited for Software Support and Maintenance Services.